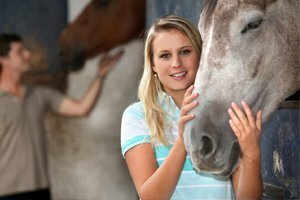 We invite you to contact us today to discuss your horse's care. Please don't hesitate to call us at (540) 955-3001. Quickly and easily schedule an appointment online today. 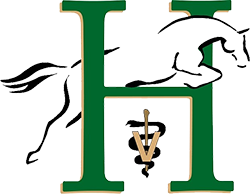 Harrison Equine is a Full Service Veterinary Hospital with over 35 years of experience in Veterinary Medicine, specializing in Equine Surgery and Lameness and a special interest in ophthalmology. People bring their horses here because they tell us, "We heard, you are the best!" Harrison Equine is committed to our clients and their horses, we aim to provide the highest quality of equine veterinary care and excellent service to ensure the health and performance of every horse. Our clinic is located in beautiful Berryville, VA. We offer equine care to the surrounding areas of Northern VA and the Eastern Panhandle of WV. Including; Winchester, Roundhill, Purcellville, Middleburg, Marshall, The Plains, White Post and Upperville in Virginia. In West Virginia; Charles Town, Harpers Ferry, Inwood and Kearneysville. Harrison Equine is proud to serve Berryville, VA and surrounding areas. 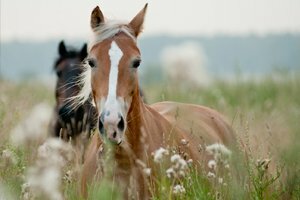 We are dedicated to providing the highest level of equine veterinary medicine along with friendly, compassionate service. At Harrison Equine, you can expect state of the art medical care for your equine companions. We believe in nurturing the human-animal bond and creating a harmonious relationship between people and horses. There are no words....Dr Harrison and his staff have been a pleasure every single time we've come up. He has diagnosed several of our horses immediately- and had recovery plans that worked. I honestly don't trust ANYONE with lameness or major medical with my horses other then Dr Harrison. I brag on him to every horse person I meet!! We took our TWH to Dr. Harrison for lameness issues. I just wanted to say that Dr. Harrison and his staff were very kind and attentive to the treatment and diagnoses of Dan and his issues. We highly recommend Harrison Equine to anyone who needs veterinary care. Would never trust anyone else with severe injuries or lameness issues! I have been traveling an hour and a half for years now for lameness exams/hock injections for my mare. More than worth the trip and have been beyond satisfied with very visit. I've been using Dr.Harrison for a few years, always a farm call, for routine work. Yesterday was my first time hauling in. The facility is well appointed and very tidy. The staff are friendly, personable,professional and empathetic . Dr.Harrison, is as always, knowledgeable and direct, calming and reassuring. He is always a pleasure. My horse liked her visit so much she didn't appear to want to come home. We just left Harrison Equine with Agape and I have never been so impressed with a vet and staff. From the moment we pulled in to the moment we left, Dr. Harrison and his staff were exceptional.